Unlikely Collaboration is a study of the unlikely attraction of modernist intellectuals and artists to fascist and authoritarian regimes in the twentieth century. 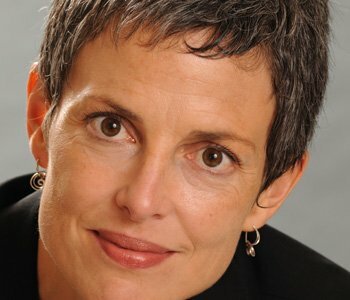 Its focus is on the particular experience of two individuals: the American modernist writer Gertrude Stein and the French modernist intellectual Bernard Faÿ. Friends and fellow travelers since the 1920s, Stein and Faÿ deepened their connection through their mutual attraction to reactionary politics as the 1930s went on. By the time France was invaded by the Nazis in June of 1940, both Stein and Faÿ decided to throw their support behind Philippe Pétain, the Vichy head of state who promoted a politics of collaboration with the Nazis. During the second World War, Stein produced propaganda in support of Pétain and Faÿ directed the secret Vichy police service entrusted with the repression of French freemasons. After the war, Stein—whose propaganda projects were largely repressed or forgotten by 1945—was hailed in the American press as a survivor. Faÿ, on the other hand, was sentenced by a French court to life in prison at hard labor. Their story—from gay Paris in the 1920s to wartime privation in the 1940s to Bernard Faÿ’s postwar escape from prison in 1951—is a dramatic tale that has many points of entry. 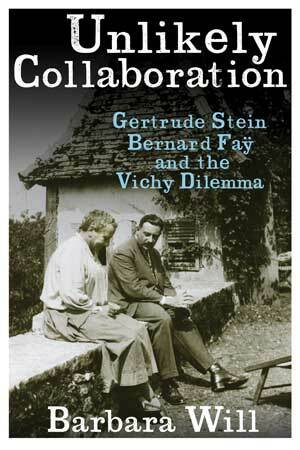 The personal dynamic between Stein and Faÿ is compelling in itself, but these figures also serve as case studies for larger concerns: about the place of America in the Vichy imagination; about the historical imagination behind the critique of modernity; and crucially, about the intersection of modernism and fascism. The recent controversies surrounding the wartime writings of Paul de Man, Martin Heidegger, Ezra Pound, and others have forced us to rethink what it was that drew so many modernist writers, artists and intellectuals toward fascist or authoritarian ideologies. Gertrude Stein, a Jewish American experimental writer and famous patron of modernist art, would seem the least likely person to write propaganda in support of a pro-Nazi authoritarian regime. Bernard Faÿ, a writer, translator, historian, and aesthete, also seems far from our image of a Vichy official and Gestapo agent. Yet both—in different ways and degrees—were drawn toward the compromised world of Vichy France. In coming to terms with the choices they made, Unlikely Collaboration asks how troubled times bring out unlikely affinities.